Away from the bright lights and heaving streets of Soho lies Opium, hazy and mysterious. 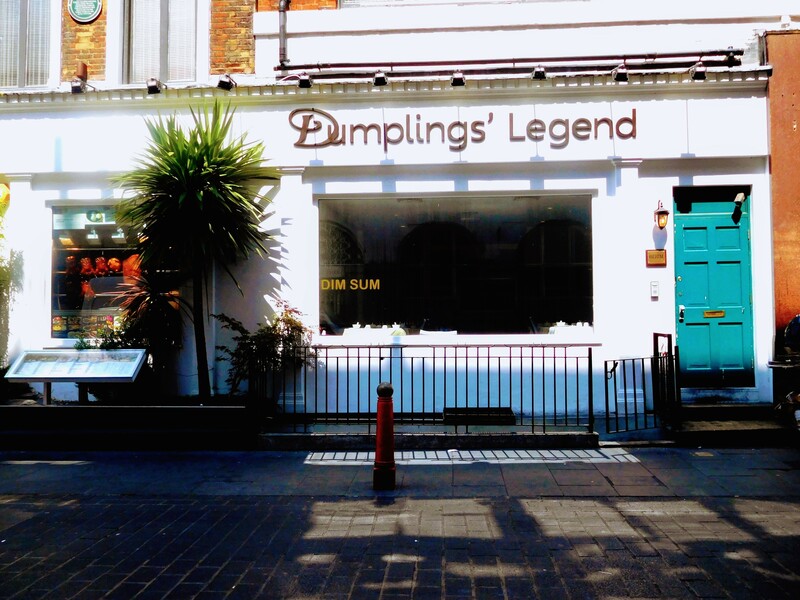 Chinatown and Soho have become one of the hippest parts of London. The narrow streets which were once home to mostly mediocre Chinese restaurants serving up sweet and sour pork and fried rice have given way to countless small eateries offering a huge variety of Asian food mixed with an infinite variety of ambiances. But away from the bright lights and heaving streets lies "Opium" Dim, hazy and mysterious. If you have ever dreamt of going to an opium den, no need to go on dreaming. The experience starts when you have to search and find that discreet, carefully guarded door. Once permitted to enter, a sombre shadowy and shabby staircase winds its way up two or three stories before finally giving way to a hazy half lit space where you can elect to perch discreetly on stools at a table, to sit at the slightly brighter bar or to lounge on couches in the shadows. 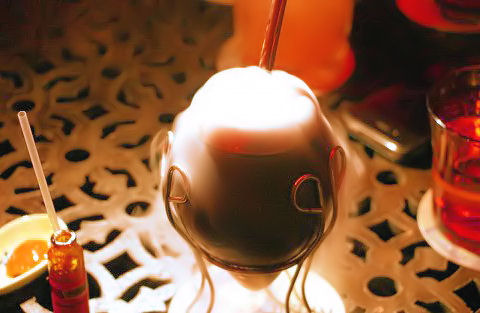 There is a list of equally atmospheric cocktails, but the Opium NO2 is clearly the best. 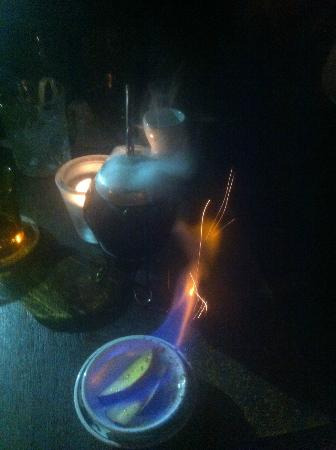 The waiter lights it up and transforms it into swirling vapour. There is a good selection of Asian snacks but if you want to simplify things, take the Dim Sum platter at a very reasonable price.